This morning we sat around the breakfast table reading our daily family devotions when we came upon this verse. The words, “…the wise listen to advice” rang in my ears. How many times do we spurn advice when we simply want to take our own way? The kids struggled with an answer so Jared & I thought about it and came up with similar answers. I thought back to more than 20 years ago receiving that advice & how I know and have experience so many things that have have confirmed the validity of that advice. Not all advice is worthwhile but we are wise to listen and not assume we automatically know or have the right answers. What about you? What’s the best advice you’ve ever received? One piece of advice I always remember is: “If you hang around skunks, you’re going to smell like a skunk.” Years later, I found a Bible verse to match it. “Do not be misled: ‘Bad company corrupts good character'” (1 Cor. 15:33). 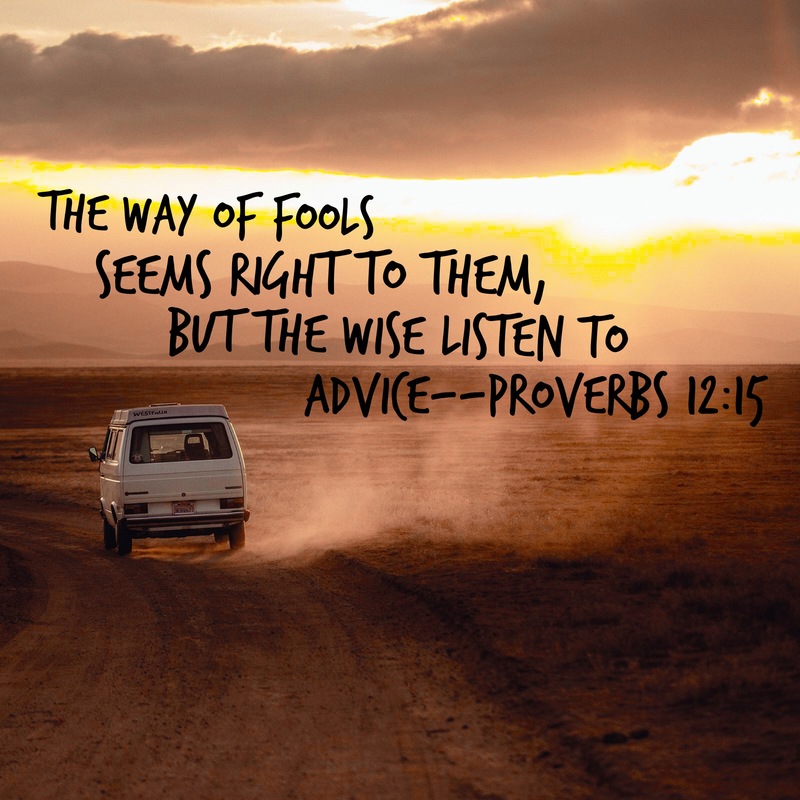 Thank you for this, I do need to listen for advice and I pray for wisdom on which to know is right for me.